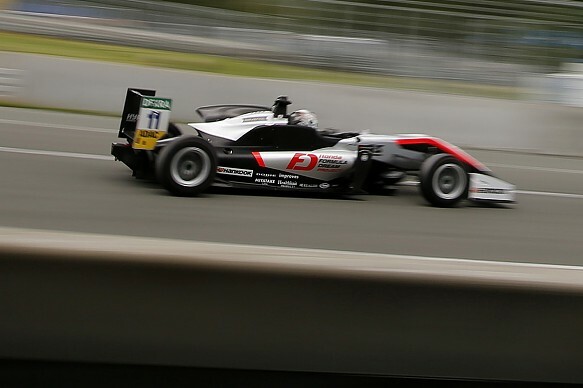 Honda protege Tadasuke Makino will miss at least the next two Formula 3 European Championship rounds after breaking his wrist at the Norisring on Sunday. The 20-year-old Japanese racer was trying to pass Harrison Newey for 13th place in the final race of the weekend at the Turn 1 hairpin, but ended up making contact with the Briton. Although the impact was only minor, Hitech GP driver Makino will need an operation on his wrist to insert a plate, and also sustained injuries to his thumb and hand. Hitech sporting director Oliver Oakes told Autosport that Makino will be out of action for eight to 10 weeks, meaning he will miss the rounds at Spa and Zandvoort, and that he hopes to return for the Nurburgring round in early September. "Nurburgring seems the normal timeframe, but we will have to monitor his recovery to see week by week," said Oakes. "He will undergo an operation this week and then will be in rehabilitation with the team's physio." Oakes added that Hitech has "no plans at the moment to replace him" with a substitute driver for Spa and Zandvoort. "All the team wish Tada a speedy recovery and would like to thank the medical staff at the Norisring circuit to get it seen to last night," said Oakes. To add insult to injury, Makino has been hit with a three-place grid penalty for the collision to be served at the next race he competes in, together with one point on his licence.